This is the day AboutMurals.ca first began. My sister and I painted a mural for our aunts to brighten up their backyard back in 2005. They loved the wall mural so much, they called the Hamilton Mountain News to take some pics. We were featured in the newspaper and I just thought it was something fun to tell people. 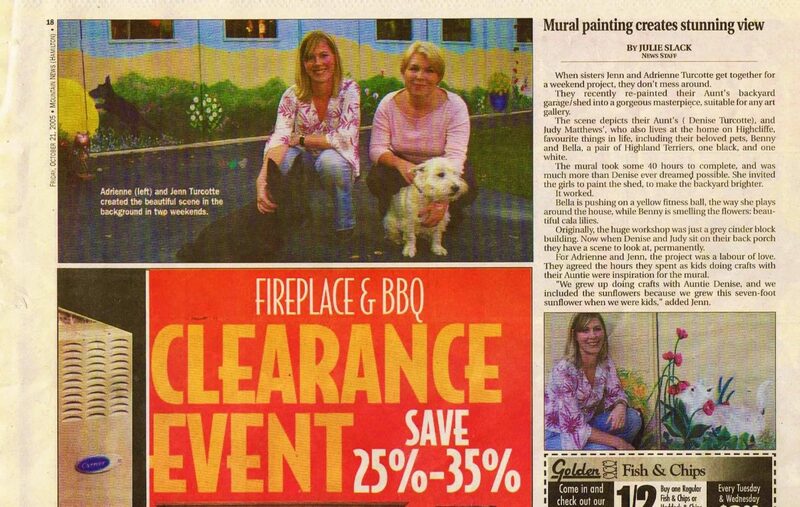 But I started getting calls from people who saw the article and wanted wall murals painted in their home. I’m very lucky for that day and for a business that is all-things wall murals…my passion and creative outlet.